As millions of Brits flock to the ski slopes for winter holiday season, many are relying on travel insurance policies that won’t cover rescue or medical treatment, according to new data from the Association of British Travel Agents (ABTA). More than two million Brits admitted to not checking whether their travel insurance actually covered the activities they took part in during a holiday, potentially leaving them to fork out for sky-high bills. An official from the Foreign and Commonwealth Office (FCO) confirmed that even in extreme cases, where holidaymakers may need to be flown back to the UK by air ambulance for treatment, the government would not be able to provide financial support. Here, we explain why winter sports insurance is vital and how to find the best travel insurance policy for your trip. Why is winter sports insurance important? Most standard travel insurance policies don’t cover accidents or injuries that happen while you’re doing winter sports, like skiing, snowboarding or sledding. This means that if you’re one of the 1.5 million Brits planning to go on a winter sports holiday this season, a standard travel insurance policy is unlikely to cut it. Instead, you’ll need to opt into winter sports insurance, and often pay an additional fee. This will cover the cost of your medical bills and often rescue costs, as well as the cost of your winter sports equipment if it gets lost or stolen. Good policies may also refund your costs for piste closures or cancellations. Over the past 12 months alone, two British ski-related fatalities and 197 significant incidents on the slopes overseas were reported to travel agent industry group ABTA. These only represent reported cases, meaning the total number of incidents could be a lot higher. And winter holidaymakers who fail to take out a suitable policy won’t be able to get support from the government to help pay for medical treatment if things go wrong. Susan Crown, Head of Consular Communications and Engagement at the FCO, said: ‘As the ski season gets underway, we recommend anybody heading for the slopes ensures they are well prepared so they have a safe and enjoyable holiday. An Ehic can be used throughout the EU and in Iceland, Liechtenstein, Norway and Switzerland to access free medical treatment from state-run facilities. But even if you have an Ehic, you still need to get travel insurance, especially when you’re undertaking a high-risk activity. An Ehic will not, for instance, cover the cost of an air ambulance to bring you back to the UK if you’re too injured to travel on a commercial flight. You also won’t be covered for the costs of transporting you down from the mountain, which could run to thousands if you need to be rescued by helicopter. And travel insurance will include cover for things like cancellations and lost or stolen baggage, which an Ehic will not. It’s still unknown what will happen to the Ehic scheme once the UK leaves the EU on 29 March 2019. While the government has previously claimed that an agreement will continue and a Brexit White Paper suggests that the UK is likely to have a reciprocal healthcare agreement with some European countries, nothing has been finalised yet. For the time being, you can still apply for an Ehic and use it on your travels. 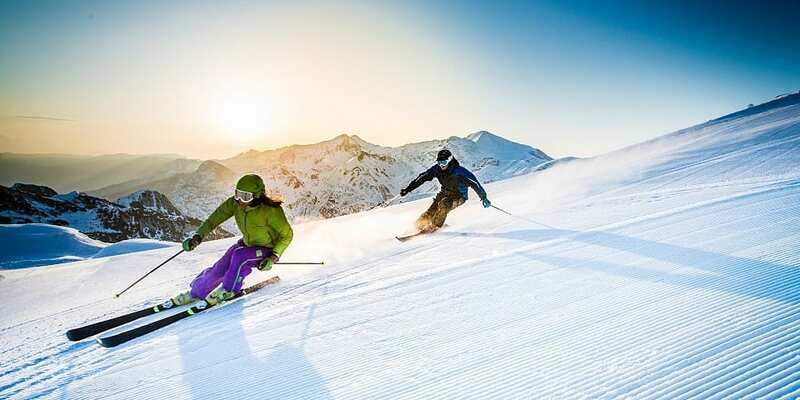 Your insurer will expect you to follow the rules of the ski resort and any local laws. So, it could refuse to pay out if you’re injured while skiing in an out-of-bounds area or when the pistes are closed. Check your policy to see if you’re required to wear a helmet, or if any other exclusions apply. An insurer may try to reject your claim if you’re injured while under the influence, so consider limiting alcohol to apres-ski. If you might be tempted to try a new activity – for example, heli-skiing or tobogganing – make sure it’s included in your cover. Keep an eye on your equipment. While most policies cover loss or theft, you’ll need to take due care of it – for example, not leaving it in an unlocked car. It’s really important that you have the right level of travel insurance cover to protect you and anyone else you travel with should any unexpected mishaps occur while you’re on holiday. When it comes to looking for travel insurance, starting as early as possible will give you time to find a suitable policy. Using price comparison websites can give you an at-a-glance view of most available deals. Avoid simply choosing a policy solely based on price though, and be sure to read the terms and conditions to make sure you get the right level of cover. Exclusive Which? research found that insurance policy small print baffles readers and can be difficult to understand, so be sure to ask the travel insurance company to clarify anything that is unclear. Once you agree to the terms of a policy, making a travel insurance claim will be impossible for things that are excluded. Check out our travel insurance advice guides for help finding the best travel insurance policy.